Beauty and reverie...: Accessorize giveaway! 1 chance for commenting here with your GFC username and email. +2 bonus entries for tweeting about the giveaway and leaving your twitter name in your comment. +2 bonus entries for posting about the giveaway on your blog and leaving a link in your comment. 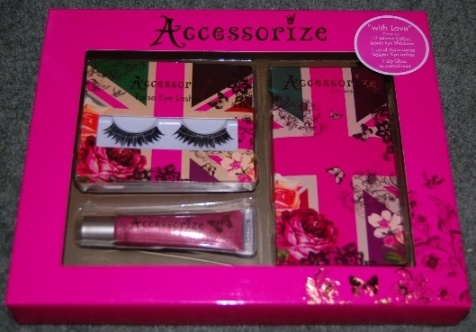 Hi sweetie, this is an amazing give away - I'd love to try acessorize stuff! Hi Please enter me I am a follower of your blog via GFC my GFC name is EllybellybaybeesBeautyBlog. I follow you on Twitter and tweeted about your giveaway. My Twitter name is Ellybellybaybee. I've also done a blog post! Hello, cool giveaway. I'm also from London. Hey lovey! Congrats to you sweetie, hopefully you'll get many, many more in no time! Hiya, congratz on the followers :) & the generous give away! GFC Katie, I think :s haha. I loveeee this make I only have nail polishes up to now though. I actually dont live in the UK anymore but i have an address there so hope that means i can still enter! 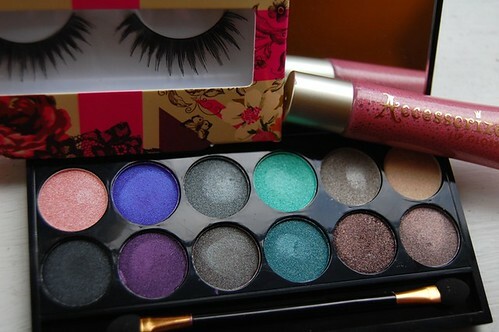 Hey, this is a lovely give away the colours are surprisingly more pigmented than I thought they would be in your review. Thanks & goodluck to everyone else!